We at Emmett's Fight are pleased to be partnered up with the Battery Controlled, an awareness campaign, dedicated to preventing button battery ingestion.Together we are working hard to help prevent and protect another child from accidently swallowing a button battery. 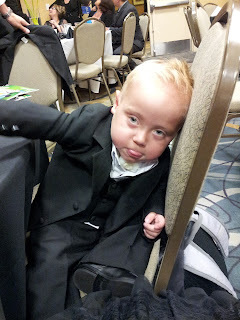 Almost 2 years ago, Emmett became a victim of ingesting a button battery, a nearly fatal accident. As Emmett's parent's, Michael and I are committed to sharing Emmett's story in hope to bring awareness to families all over the world. Please share this video and help us save another child's life! Thank you Battery Controlled for creating this video! A few months ago I wrote about a fundraising breakfast organized by a 13 year old boy, Devin. 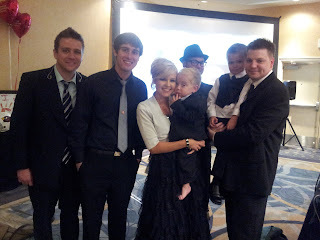 Devin and his family are friends of our's from church. Devin is a Boy Scout and is working hard to become and Eagle Scout, the highest rank in the Boy Scouts of America program. To earn this award, Devin needed to complete a certain number of hours of service in his community. 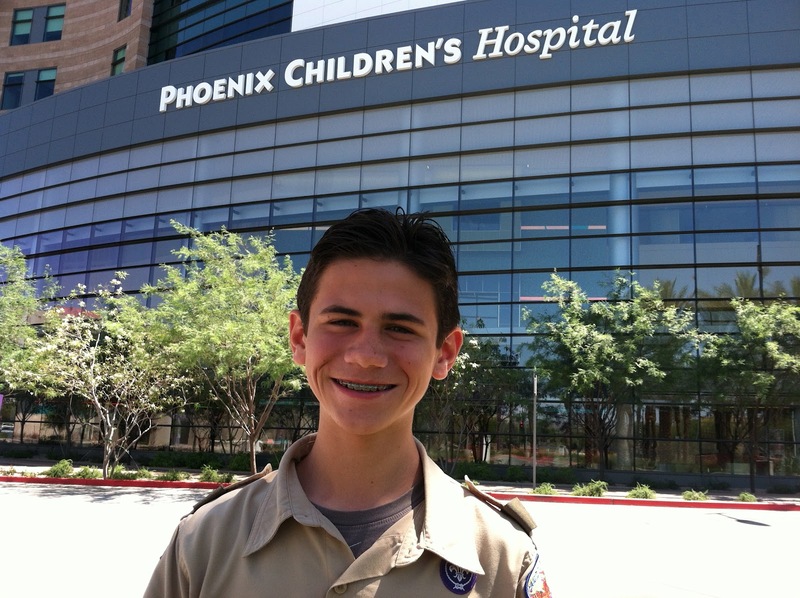 Devin contacted us and shared that he wanted to focus his eagle project to benefit Phoenix Children's Hospital (PCH) in honor of Emmett. Our hearts were deeply touched. Devin hosted a fundraising pancake breakfast. The turn out was great and those who came to show there support, donated generously. All for children who are being treated at Phoenix Children's Hospital. Devin and his mother, Barb, made Ethan and Emmett to adorable blanket's. Ethan's blanket has "Darth Vader" from "Star Wars" and Emmett's blanket has "Lightning McQueen" from the movie "Car's". Both the boys favorite! Once all of the supplies were collected and gathered. We accompanied Devin and his parent's to the hospital to deliver the donations. Michael and I were also able to show Devin and his family around Emmett's old stomping grounds, the Pediatric ICU (PICU). Devin and his mom, Barb, in one of the room's Emmett was treated in in the PICU. We are so grateful for Devin and his great example and kindness towards the member's of our community. Thank you so very much. 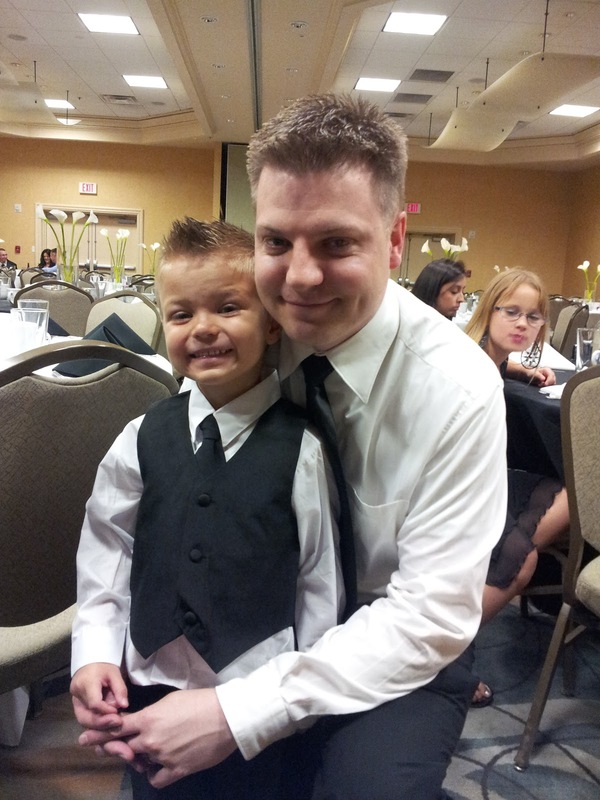 While Emmett was being treated at PCH, we received gifts, similar to those donated by Devin. A simple thing such as a gift can make a difference in a child's day while living in a hospital. Thank you! 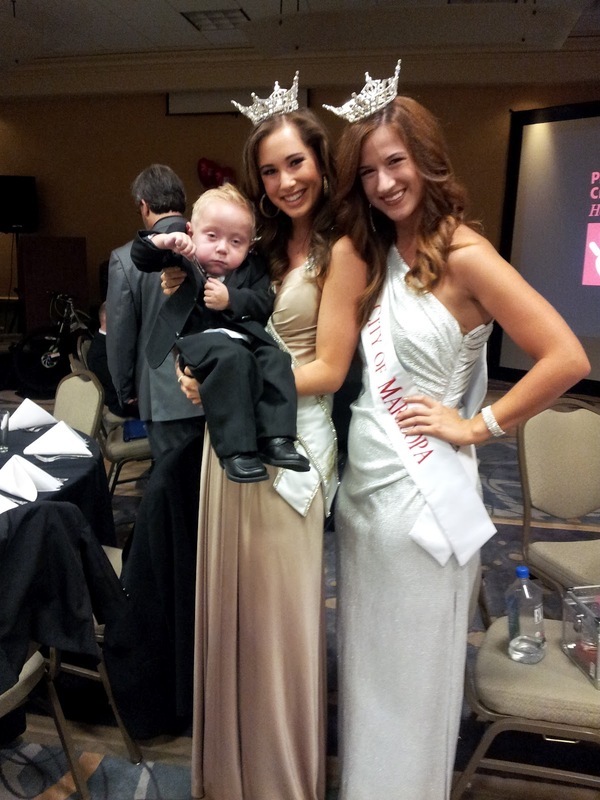 The third and final chapter to our Walmart, Phoenix Children's Hospital and Emmett's Fight outreach. On June 9th, our family attended a Black Tie Event hosted by Walmart in honor of Phoenix Children's Hospital. 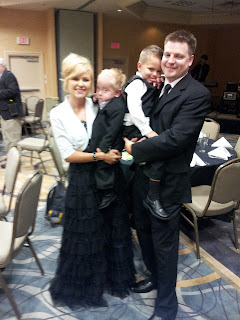 We pulled out our fancy shoes and purchased two adorable 5 piece suits for the boys. The gathering consisted of many local and national vendor's of Walmart coming together to donated to a wonderful hospital for children. Michael and I were asked to speak to the audience that evening. I shared Emmett's story and encouraged those who were in attendance to help spread the awareness of the danger's of button battery ingestion. Michael noted our families appreciation for Phoenix Children's Hospital in caring for our Emmett. While enjoying the delicious dinner of Prime Rib and Fettuccine Alfredo, Entende a local rock trio, shared their talent. We have become huge fans ever since. Entende shared Emmett's story and the awareness of button battery ingestion on their Facebook page and encouraged their follower's to take action. Thank you Entende! Ethan and Emmett were very well behaved most of the evening. 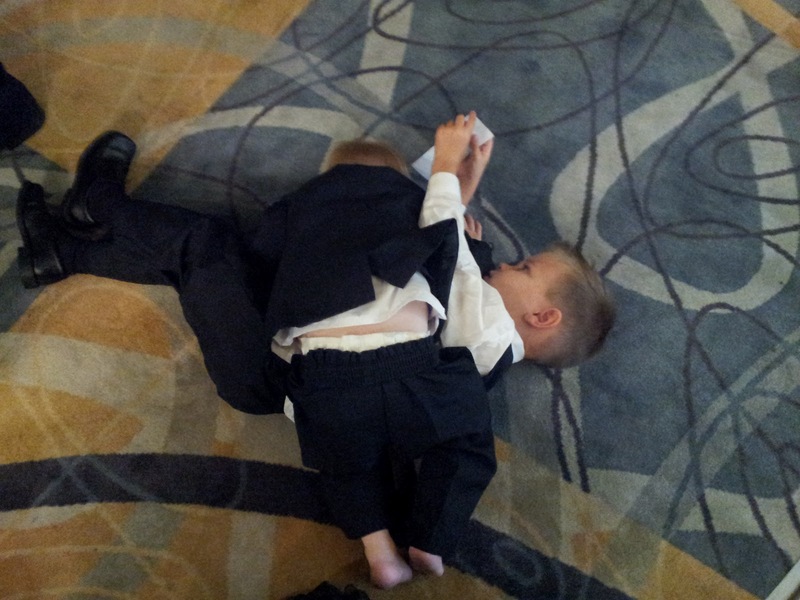 By 9pm however, the shoes came off and there was no stopping the wrestling. Boys will be boys. Michael and I are so grateful for Walmart and Phoenix Children's Hospital for helping us share Emmett's story and spread the awareness!